The Rothko Chapel is a non-denominational chapel in Houston, Texas founded by John and Dominique de Menil and opened in 1971. The interior serves not only as a chapel, but also as a major work of modern art. On its walls are fourteen black but color hued paintings by Mark Rothko. The shape of the building, an octagon inscribed in a Greek cross, and the design of the chapel was largely influenced by the artist. You can find out more about the Rothko Chapel in it’s official website. Susan J. Barnes states “The Rothko Chapel…became the world’s first broadly ecumenical center, a holy place open to all religions and belonging to none. It became a center for international cultural, religious, and philosophical exchanges, for colloquia and performances. And it became a place of private prayer for individuals of all faiths”. Fourteen of Rothko’s paintings are displayed in the chapel. Three walls display triptychs, while the other five walls display single paintings. Beginning in 1964, Rothko began painting a series of black paintings, which incorporated other dark hues and texture effects. A typical question raised by visitors viewing the massive black canvases which adorn the walls of the chapel includes some variant of: “Where are the paintings?” The hue of the paintings vary on the lightning of the moment of the day. The de Menils offered Rothko a commission for the chapel in 1964. From the fall of 1964 through the spring of 1967, he painted the fourteen large paintings and four alternates, which incorporated many of the characteristics of the earlier 1964 black paintings. In front of the chapel lies Barnett Newman’s sculpture Broken Obelisk. 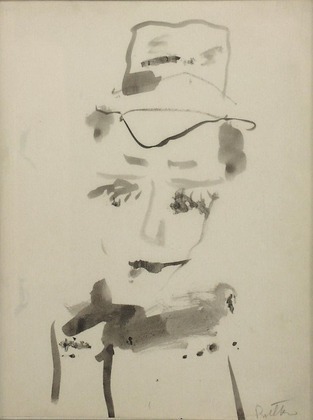 Rothko also created a Barnett Newman portrait which you can see below. There is also a photograph of the Broken Obelisk sculpture underneath the Rothko portrait. Newman was another highly significant American abstract artist from a similar period to Rothko. His Obelisk sculpture was actually in honor of Dr. Martin Luther King, Jr. Besides being an excellent place for quiet reflection, as the artist had intended, it’s links to human rights and other political campaigns have led to this area becoming a meeting point for like-minded people. This means that the influence of both artists, Rothko and Newman, continues to strengthen even after their deaths. 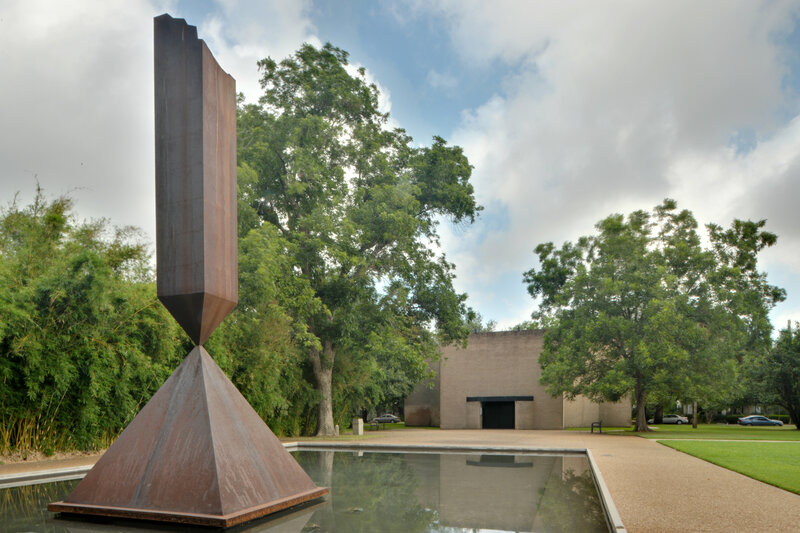 The mission of the Rothko Chapel is to inspire people to action through art and contemplation, to nurture reverence for the highest aspirations of humanity, and to provide a forum for global concerns. The Chapel has become very well known outside of the art world and regularly receives coverage in local, national and even international press. One of the best examples of this is when it became a featured entry in National Geographic’s book Sacred Places of a Lifetime: 500 of the World’s Most Peaceful and Powerful Destinations, which was published in 2009.